We've been slowly reading through The Burgess Bird Book for Children. I think we started last spring when the birds began to return! We often read it during our afternoon snack time. I think we're about halfway through. (We're not reading it according to any schedule, as you can see.) 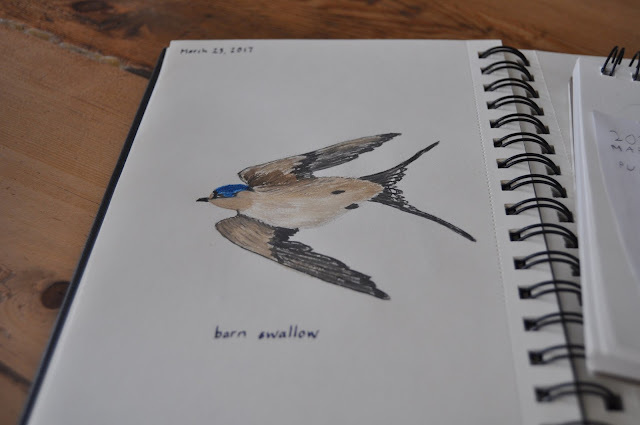 Last week we decided to pull out our neglected nature journals and draw a few birds from recent chapters. 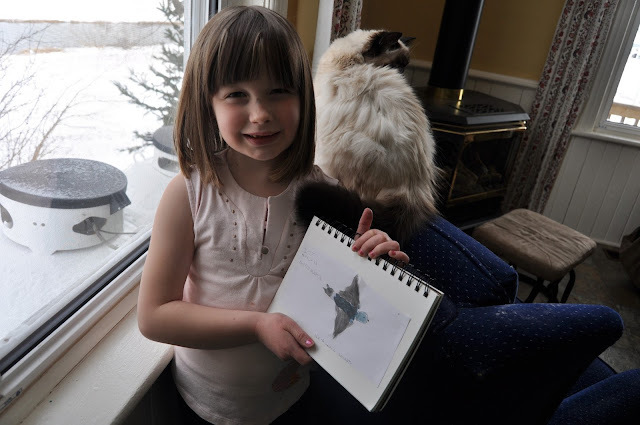 We used Peterson's field guide to draw from. On a side note, this was the first time Arden understood that the pictures in the field guide were actually painted by Roger Tory Peterson. I think she thought they were photographs. She was amazed! I think it inspired her. 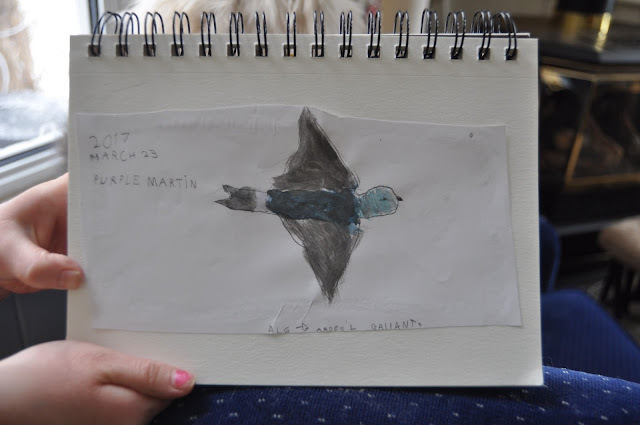 Arden chose the purple martin ("Twitter," the largest of the swallow family), and I chose the barn swallow ("Forktail," with his distinctive tail). We used watercolours. Arden did her drawing and colour mixing very carefully, and was quite pleased with how it turned out. 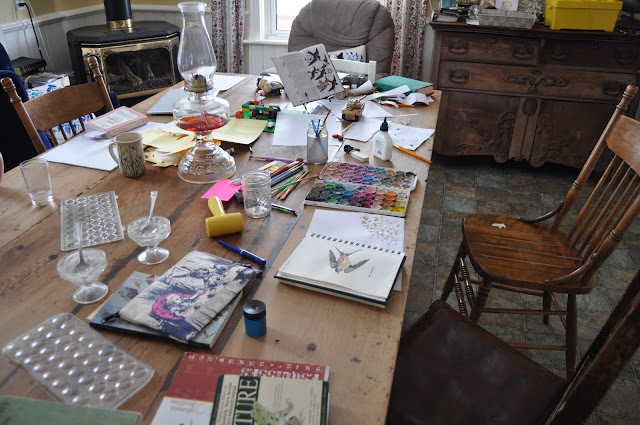 This is something we both enjoy doing, and I'm hoping we can do more regularly this spring!